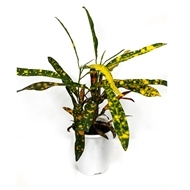 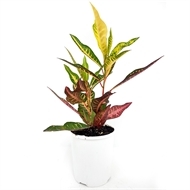 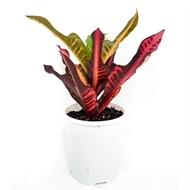 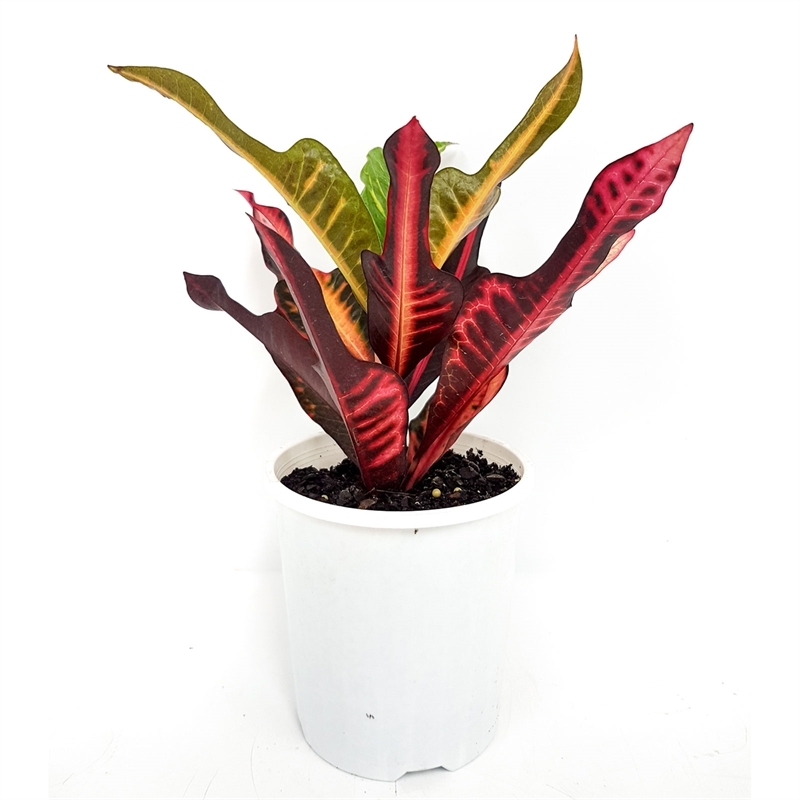 The Croton from Enliven® is a spectacular tropical foliage plant that will add style, harmony and inspiration to any home, office, patio or veranda. 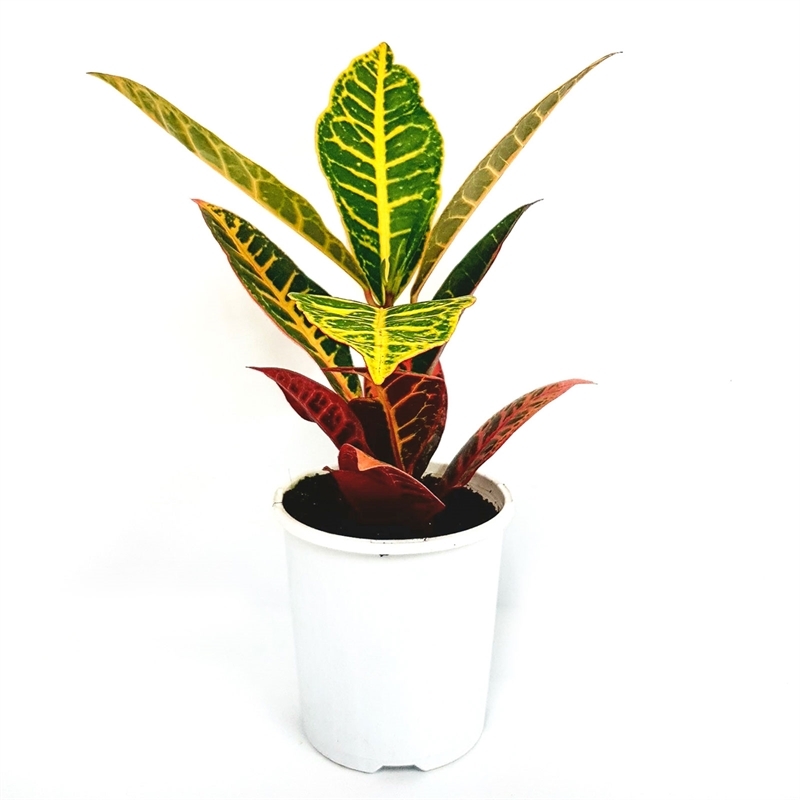 Depending on the cultivar, the leaves may be ovate to linear, entire to deeply lobed or crinkled, and variegated with green, white, purple, orange, yellow, red or pink. The colour patterns may follow the veins, the margins or be in blotches on the leaf. 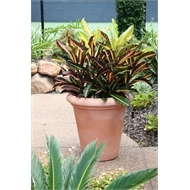 In tropical climates, Crotons make attractive hedges and potted patio specimens, valued for their striking foliage. 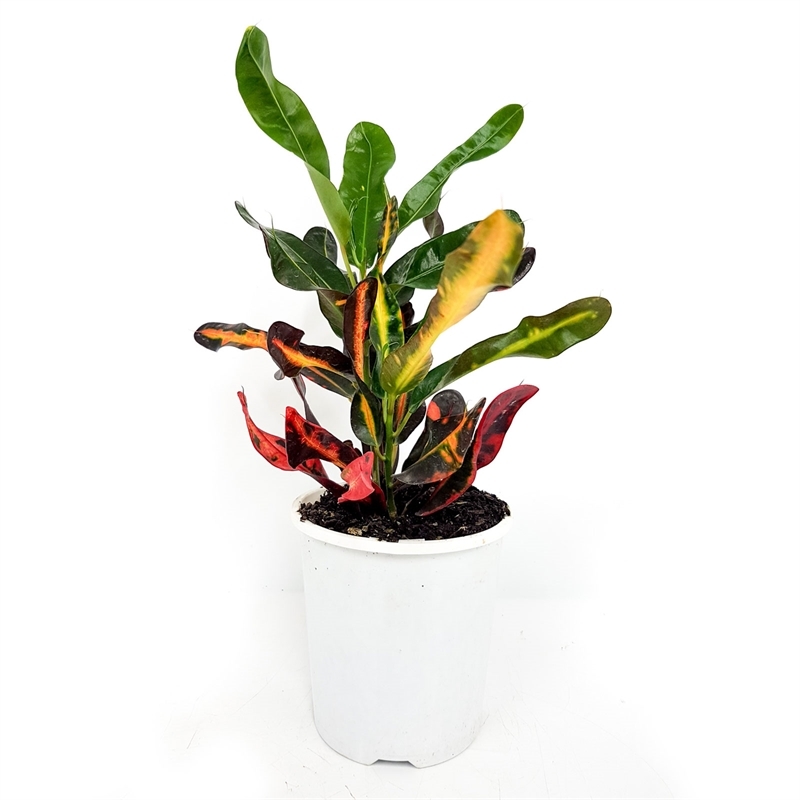 In colder climates, the plants are grown in greenhouses or as house plants. 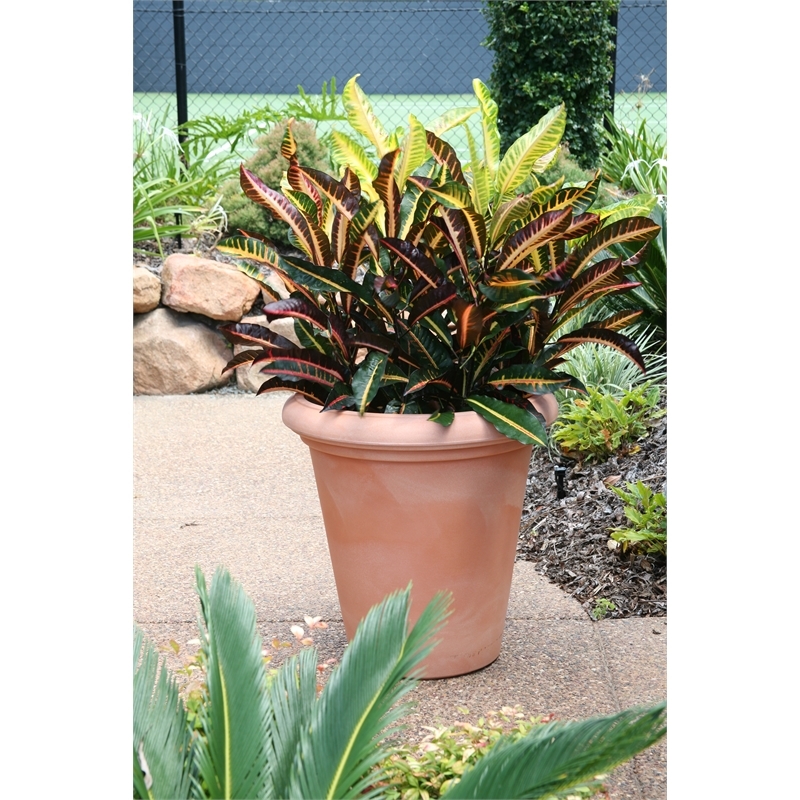 The cultivated garden Crotons are usually smaller than the wild plant, rarely over 1.8 m tall, and come in a wide diversity of leaf shapes and colours.